2. Heat the wax to a melting temperature, after the wax melted, spread a layer of wax with a spatula on the skin along the direction of the hair growth. 3. 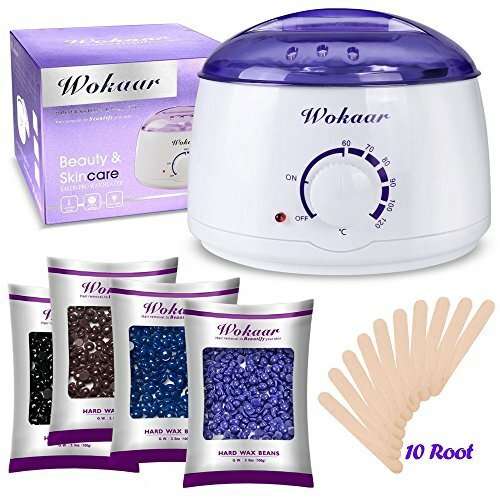 After 15-20 minutes, feel the wax temperature disappears when the wax stripped, against the direction of the hair growth quickly ,coated with skin cream. 4. Pour some of Water into the container heating dissolved away the wax. 5. Use makeup remover scraper and paper towel to wipe out the inside of the wax pot to get rid of any residue.